It was on this day, 465 years ago, at approximately 11 hours UTC: that Jane, the rightful queen of England, France and Ireland, was judicially murdered. 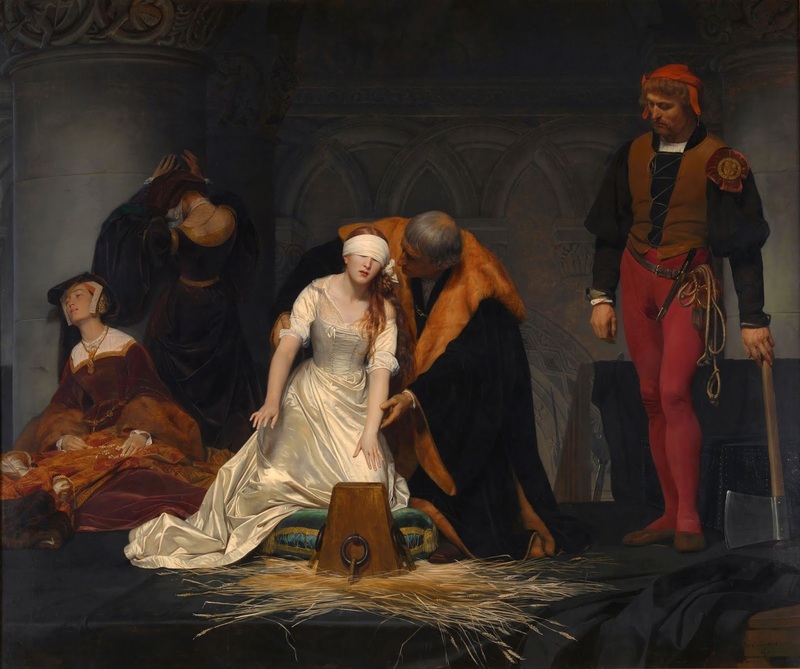 As there are countless re-tellings of the events of Lady Jane Grey's execution on that day, I won't make you read another. Rather, I would like to take a few moments to reflect on Lady Jane's life. Lady Jane Grey, was born in June of 1536 to Henry and Frances Grey, later Duke and Duchess of Suffolk. 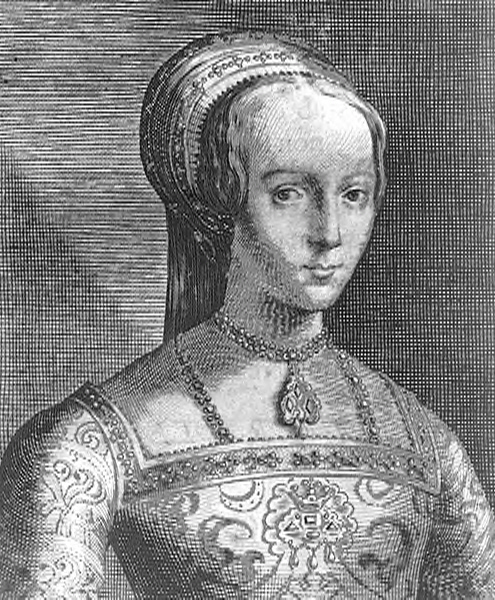 Lady Jane was the granddaughter of Henry VIII's sister Mary. Under the terms of Henry the eighth's will, the Suffolk family stood fourth in the line of succession to the throne. Consequently, Lady Jane received a princess's education. She was precociously intelligent, reading Greek, Latin and Hebrew by the time she was 9 years old, and was a staunch advocate of the newly established Protestant faith. With the accession of the nine-year-old Edward VI in 1547, the English court became embroiled in a sequence of complex power struggles in which Lady Jane, Edward's cousin, became a pawn. As Edward's health deteriorated in 1553, the powerful nobleman John Dudley, Duke of Northumberland, persuaded the young king to exclude his half-sisters Mary and Elizabeth and decree that the crown should instead pass to his cousin Jane. She was then hastily married to the Duke of Northumberland's son, Lord Guildford. Northumberland's hold on power seemed secure when Jane was proclaimed queen on Edward's death in July 1553. However, Mary's Catholic supporters staged a rising, Northumberland's army melted away and just thirteen days later the reign of Queen Jane was over. Although her innocence was never doubted, Jane's existence as a possible figurehead of Protestant revolt made her an unacceptable danger to the new regime. She was executed on February 12th 1554, aged 17. Jane had alleged that she had been forced into marriage by her parents and that “relations with her spouse were not good.” Yet I contend that it was common of noblemen’s sons and daughters to go into arranged marriages without question, and aware of her position and her lineage, Jane would have known that she had little choice in matters such as these. And being the religious woman she was, marriage was viewed as one of the most important things in a woman’s life. It is possible that Jane might have not liked being married to someone she barely knew, but due to her religious fervor, had come to accept it. But given how kings and queens saw themselves, it is not outside the realm of possibility that Jane might have said this in order to get her way. Jane would die on the 12th of February 1554, after her husband. Jane was made into a passive figure later on, a Protestant martyr who refused to accept the crown, who was the victim of her parents' abuse. Think of this distortion as a Snow White washing of Jane. The Victorians wanted to think of Jane as the poor royal trapped in the tower, at the mercy of her evil cousin, and older woman, envious of her beauty, and a dangerous mother who is lusting for power and sees her daughter as nothing more than a tool. And while everyone fights one another, poor Jane stays true to herself, unwavering in her faith, choosing death instead of being a sell-out. While this is partly true (Jane was a fervent believer who never wavered in her faith), it is largely made up. Jane had to be seen as the epitome of the good, Christian woman who was submissive, yet defiant when it came to her faith. During the Victorian age, this myth became bigger and it is one that has endured. Jane was a strong woman, no doubt. One of the most educated women of her time, who was also independent and although she did not covet the crown, once she was in that position, she did her duty to the best of her ability, urging her father, her father in law, and many others to rally to her cause and stop Mary. When everyone abandoned her, she had no choice but to admit defeat. Jane accepted Mary's reign, so long as Mary would not bring back Catholicism. When Mary did this, Jane became angry and asked the people to "return to Christ's war!" Although her outburst might seem inconsequential to us, it didn't seem so to Mary and her councilors. Several urged her to deal with her right away and Mary often hesitated to do so, but after the Wyatt Rebellion, Mary signed her death warrant. The Lady Jane, while she was a prisoner in the Tower of London during the last 8 months or so of her short life, took the time to write. Because she knew that what she wrote would be published posthumously, she wrote very carefully worded letters that she, I believe, conceived as performance pieces. She was careful to express her thoughts in a very special way. It was important to her that she be remembered, not just remembered but in a very particular way. She was so good at it, that people who have read what she wrote, conscripted her for their own use. I contend that she never expected that. When she knew her death was imminent, she wrote three epitaphs. One in Latin, one in Greek, and one in English. I believe that %98 of what you read about the Lady Jane Grey is wrong, and it is my life's work to tell her true story. Michael Anthony Bayus was born in Union town, Pennsylvania and became blind shortly after birth. At three years of age, he was given a small organ on which he began creating tunes and improvising chord progressions. Michael began formal lessons at age eight and began playing in church at fourteen. He has played numerous recitals throughout the United States. Mr. Bayus earned a Bachelor of Music degree from Hope College in Holland, Michigan, and a Master of Music degree from The Catholic University of America, where he served as an assistant to Dr. Robert Grogan at the National Shrine of the Immaculate Conception in Washington, D.C. He has been fortunate to study under Virgil Fox, Gunter Kaunzinger, Marilyn Mason, Marie-Claire Alain, and Jean Langlais. Plays for his own amusement and amazement. Along the way, while in High School and College, Mr. Bayus participated in various Workshops and courses in Broadcasting and while in College, produced a Radio Drama about the Lady Jane Grey as a final exam for one of those courses. Michael first knew about Lady Jane after hearing a BBC produced radio drama about her at age 12, and became passionate about her from age 14. Mr. Bayus has made the study of Lady Jane Grey's life his life's work ever since. 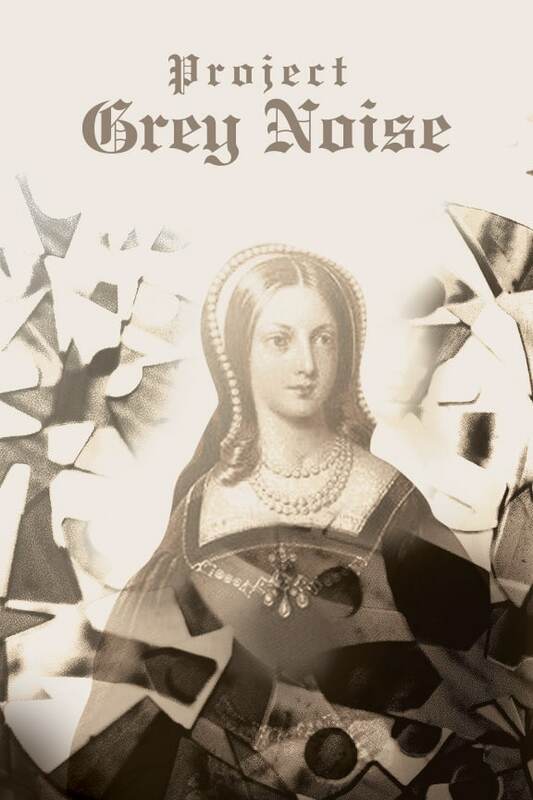 To that end, Mr. Bayus has published Project GreyNoise, an Audio Book about the Lady Jane Grey. In Project GreyNoise, Lady Jane Grey is trapped in the 21st century, but willingly. Because she knows that in order to affect change and to accomplish her goal, she must act. It’s hard for her because she knows that if she were to tell people that she really is Lady Jane Grey from 1554, people would think she is crazy. So she plays Miss Jane Dudley, and she oversees an exhibit about herself and dresses up in Tudor costume, and enjoys being herself twice a day, (morning and afternoon,) for her show. As the story goes on, Mike suggests that she put on shows about events in her life as short plays or vignettes in the evening. She does it all so well that she gains a reputation around town. She is very entertaining, and she talks Tudor History as though she really lived it, because she has.